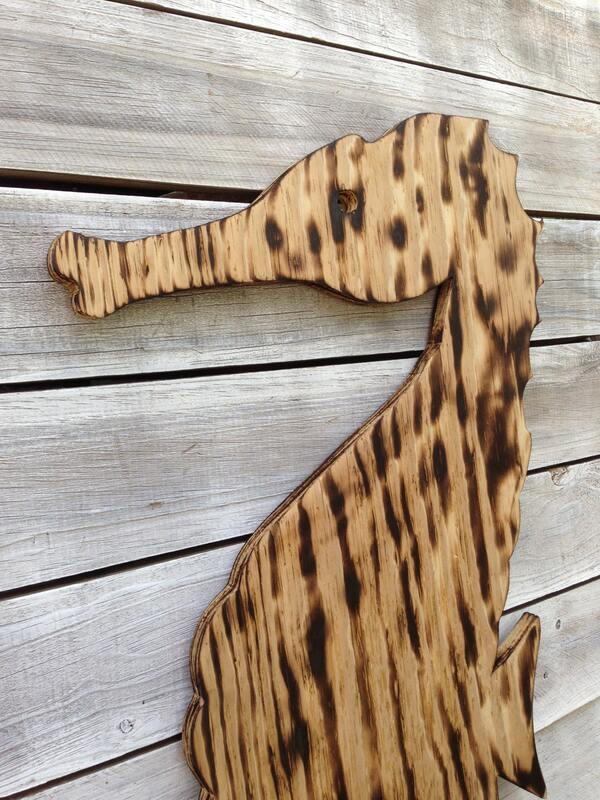 Family sign, Unique Custom sign, Wood Seahorse Wall Art, Sea horse decor, Housewarming Gift, Wooden outdoor beach house sign. 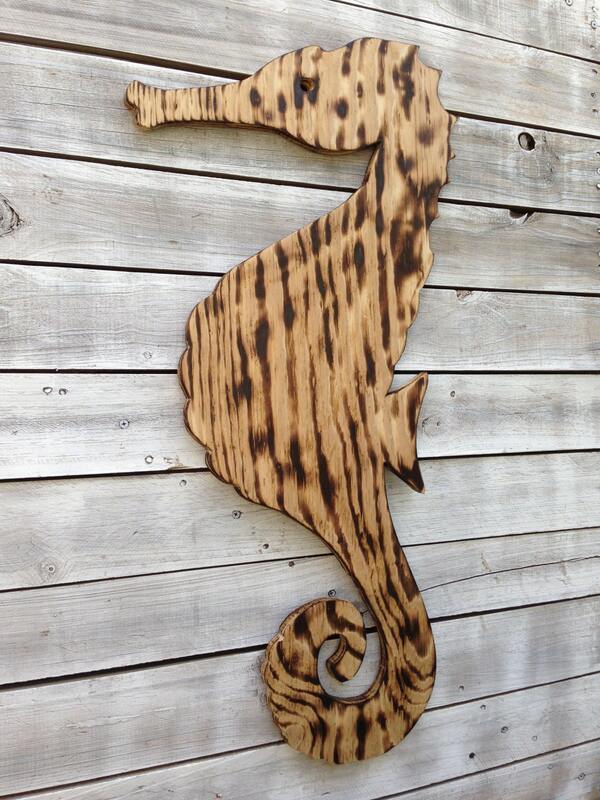 Decorate your patio, deck or house with our Sea Horse Wood Sign. 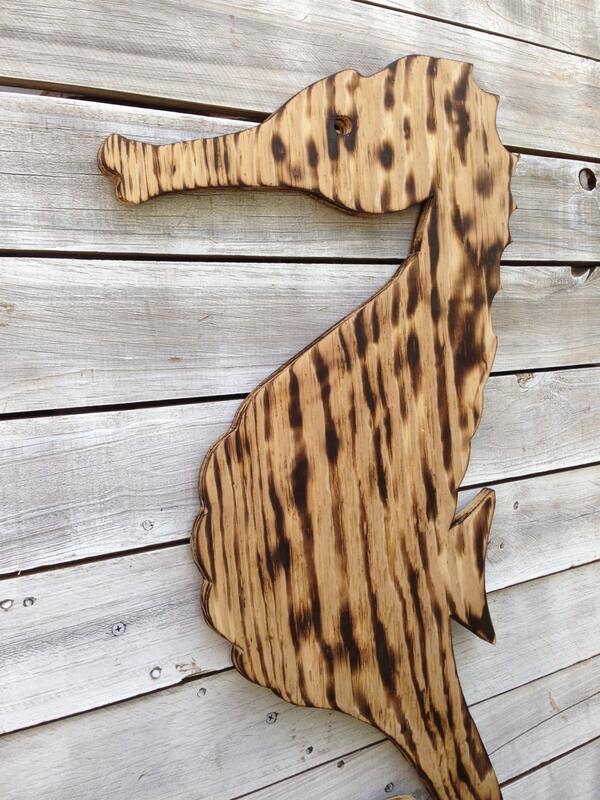 Make a great gift for the fellow in your life who has always wanted one, but hasn't have one yet. 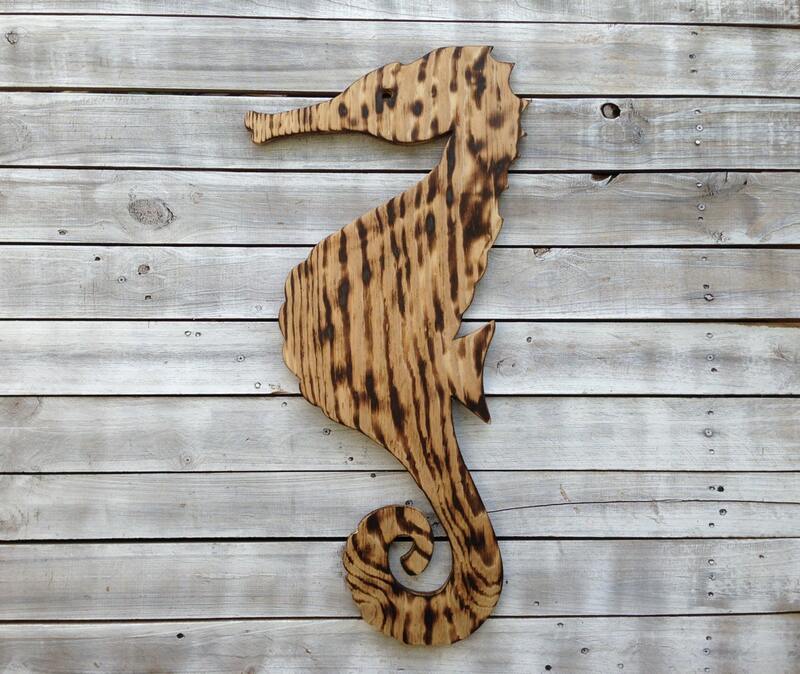 The sign hand cut from 0.5" plywood, burned and coated special for you in Key West, FL. 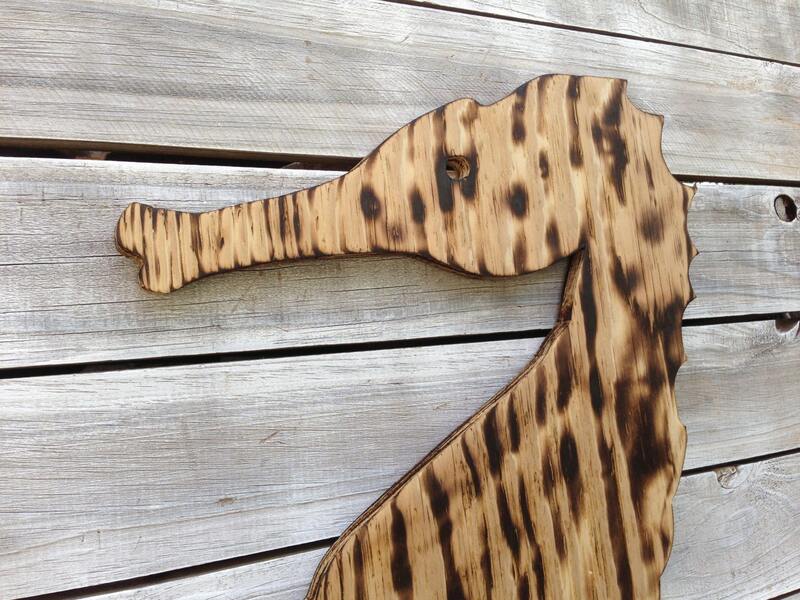 Could be finished and distressed with any colors, if do not like this burned textured look. We can make it to face left or right. Each item looks unique depending on the different wood structures. Available in three sizes, for different size please message us for custom request. This sign is weather proofed, with weather seal protective spray, great for covered porches and patios by order request. Two wall hanging in back allow you to attach to the wall safely and secure on screws. We do not include hardware but recommend dry wall anchors, and screws to hang securely.